Charcot Deformities | Marathon Orthotics, Inc.
We can handle even the toughest cases of Charcot. This accommodative device work exceptionally well in off-loading a Charcot deformity, lessening the chance of ulceration. Typically the shell is made with a very supportive material (see the chart below). 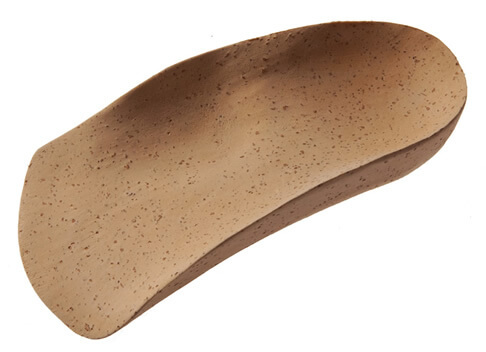 The shell will contour exactly to the plantar surface of the foot. Our expert lab technicians make sure there will be additional room for the deformity. As with any area that needs a depression, please mark it on the casts, accurately indicate the area on the foot diagram on the prescription order form and check cut-outs. We can assist you in picking the best shell material for each patient’s particular circumstances. Please do not hesitate to call our office. Typically, we recommend a full length 1/8’’ Poron mid-layer with a 1/8’’ Pink Plastizoe top cover interfacing the plantar surface area of the foot.